Come, be led by our children in worship! 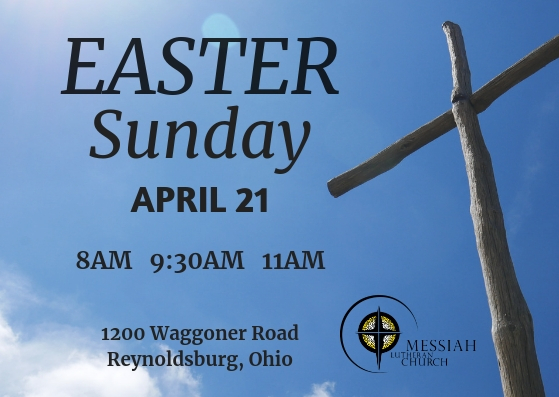 Sunday, April 28th at 9:30 our service will be led by our Youth Praise Band and include gifts of music from our Messiah Christian School students. 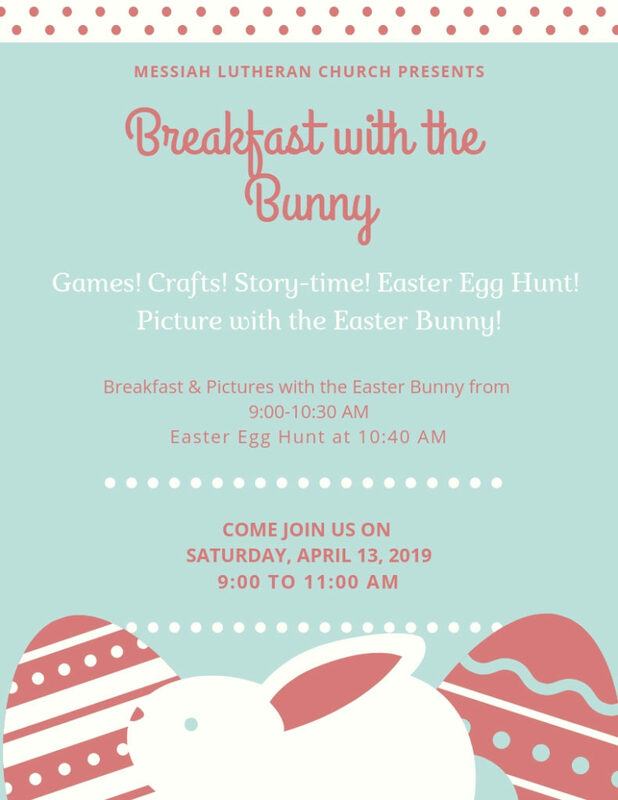 Continue the celebration after service with food, fellowship, MCS Art Show and a Bounce House. Every year, it is the responsibility of the congregation to give our pastors feedback and encouragement on their pastoral leadership at Messiah. Please take ten to fifteen minutes to respond and offer comments for our pastors using the online tool Survey Monkey at https://www.surveymonkey.com/r/VFSNXK9. 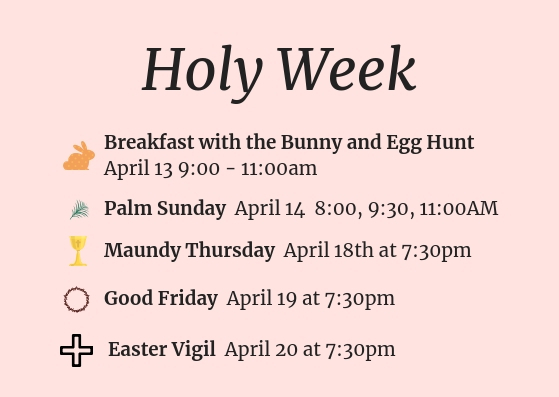 We will be gathering member responses through Palm Sunday, April 14. The youth of Messiah Lutheran Church have kidnapped Pastor Karl and are keeping him in an undisclosed location. 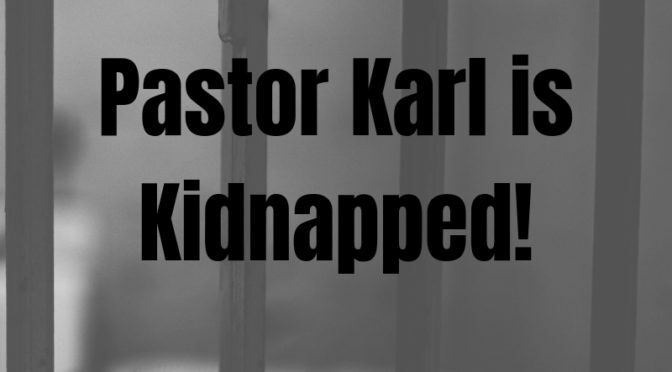 In an effort to raise money for their mission trips, they give you two options: give money to release Pastor Karl or to keep Pastor Karl. The choice is yours. Donations will be collected on Sunday, March 31st, all morning long. 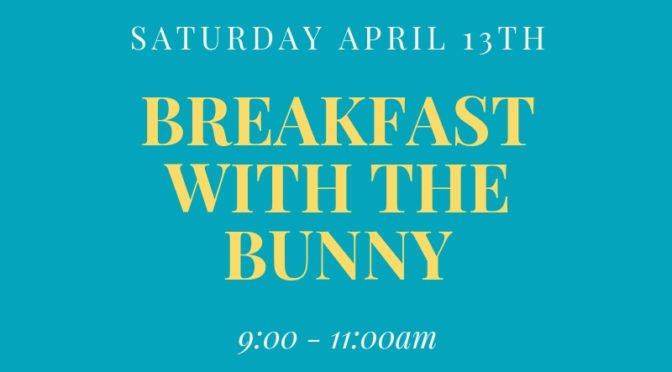 Not going to be there on Sunday? 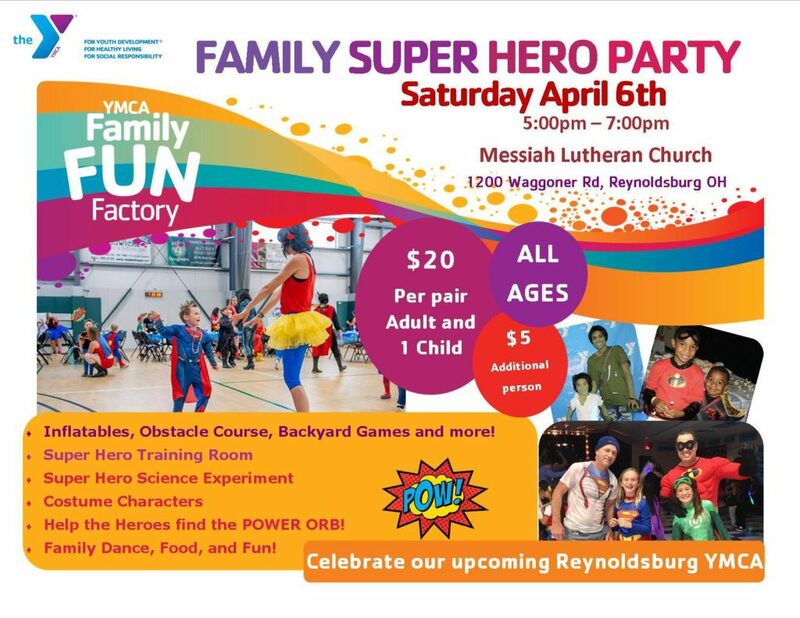 You can mail a check to the office (please put a note in the memo line): 1200 Waggoner Rd, Reynoldsburg, OH 43068, or contact Pastor Liz. 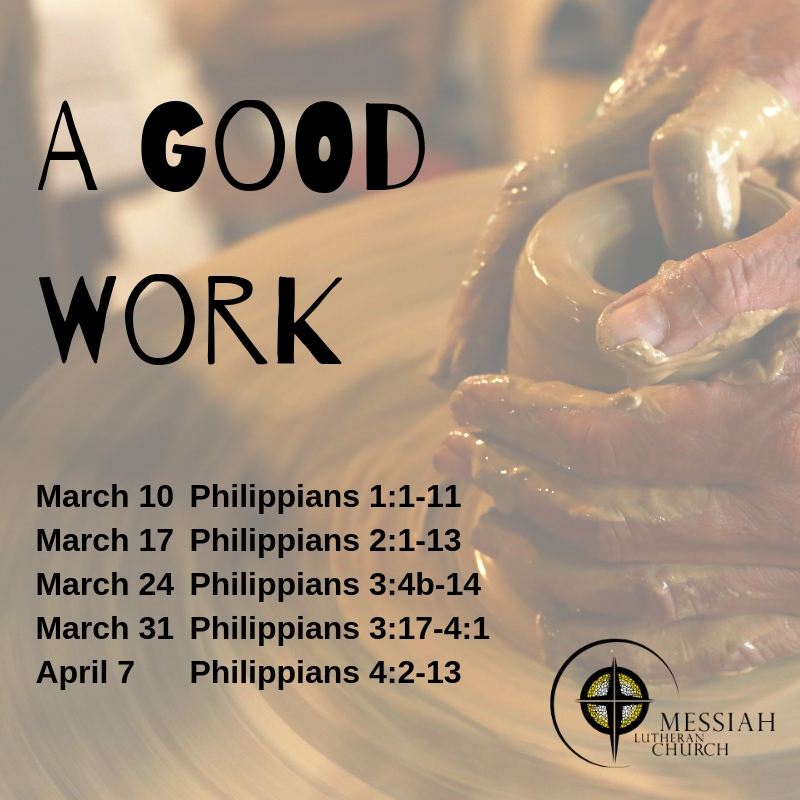 Journey with us through the season of Lent as we explore Paul’s Letter to the Philippians. 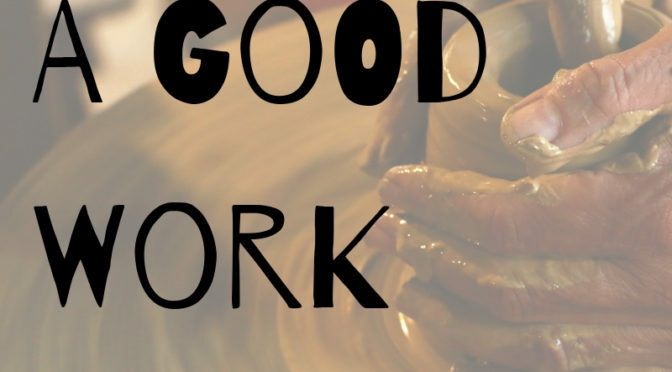 The One who has begun a good work in you will bring it to completion! We are looking for a talented, innovative, and creative spiritual leader to oversee all musical aspects of our Contemporary and Traditional worship services. Skills needed will include leadership, recruitment, training, and development of musicians, as well as overseeing technological teams. We are looking for someone who is flexible enough to lead a Praise Band and Contemporary Service as well as a being a Traditional Worship Leader and choir director. Praise Band director. Recruit, train, supervise, and coach all music related leaders and volunteers. Provide oversight for the audio/visual teams to ensure good sound quality. Establish regular written and verbal communication with other ministry leaders, including but not limited to, meetings. Plan, organize, and select music according to the Church season, theme, message, and worship style, in partnership with the pastoral staff. Ensure the regular maintenance of instruments as needed. Recruiting musical directors (paid and/or volunteer) for vacancies in our programs, such as a Bell director. Train and supervise music related leaders and volunteers. Coordinate the purchase of music, including obtaining the services of outside musicians and instrumentalists. Bachelor’s degree in music, music education, or a related field, OR commensurate with experience. Need to have a strong singing voice in order to lead the congregation and other singers in song. Supervision experience is needed for oversight of paid and unpaid music leaders. A passion and delight in worship. Needs to have a humble spirit and a love and concern for all of God’s creation. Salary is based on experience, history and credentials. References required. Video of worship leadership desired. Please send resume and submissions to Hollye Burgess, Worship Chair. We will consider dividing this position as separate positions, Traditional Worship Leader and Contemporary Worship Leader, for the right applicants. 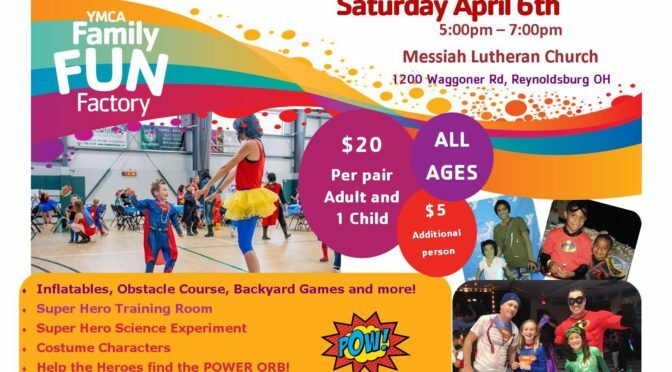 Messiah Lutheran Church continually desires to become a more inclusive and diverse staff. People from all backgrounds are encouraged to apply.